When the sun finally comes out i like to switch out my faithful winter beauty items for something a bit lighter. 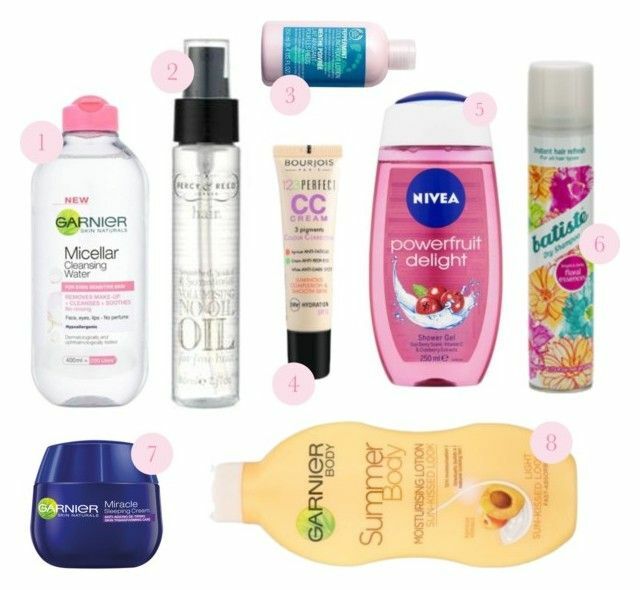 Most are drugstore products and available in Boots & Superdrug stores. 1. Garnier Micellar Water - gentle on my skin but removes all traces of make up and grime. 2. Percy & Reed Oil - a light oil that helps my hair stay smooth after blow drying. 3. Body Shop Peppermint Foot Lotion - a lifetime summer staple and has always been in my bathroom to give my feet that smooth look. The smell always reminds me of home as my mum has always used it too, family tradition. 4. Bourjois CC Cream - during the warmer months i tend to trade in my foundation for something lighter and currently i am loving this CC cream from Bourjois. It offers great coverage and SPF protection but is also lovely and lightweight as well as a great colour match on my skin. 5. Nivea Shower Gel - powerfruit delight. Picked this up on offer in boots and love it. Great smell as well as nourishing on my skin. 6. Bastise Dry Shampoo - the holy grail of dry shampoo, this stuff needs no introduction! Gives me a great hair refresh, smells amazing and no white patches. I love the variety of scents available, my favourite is the summer floral essences. 7. Garnier Miracle Sleeping Cream - a pricey product but well worth it. Got a tub in My Little Box subscription and had to re-buy, leaves my skin soft in the morning and has helped to reduce my spots which is a bonus. 8. Garnier Summer Body - i don't tan particularly well but this gives me a great bronzed glow, as well as leaving my skin feeling soft all day. It doesn't smell like fake tan and or leave my sheets orange - big bonus. 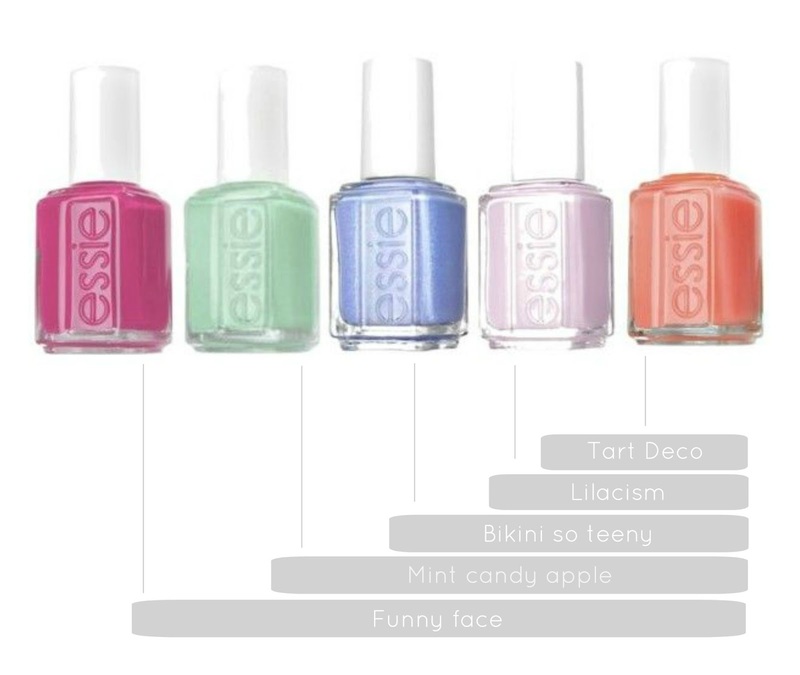 Finally when it comes to summer nails (in fact any time) it has to be Essie, it is just the perfect consistency, goes on smoothly, lasts and comes in amazing array of shades - i can't use anything else. These are my current favourite shades, all great for the summer. 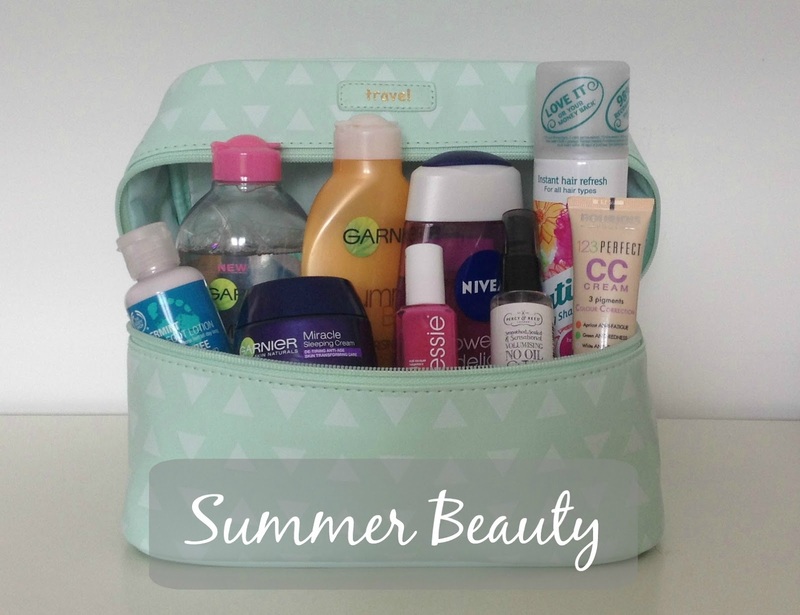 Do you have any go to summer beauty favourites? everyone raves about batiste dry shampoo.. i think i need to give it a shot. i love the way this post is set up, your blog is very nice!